I’ve received two early birthday presents this year. 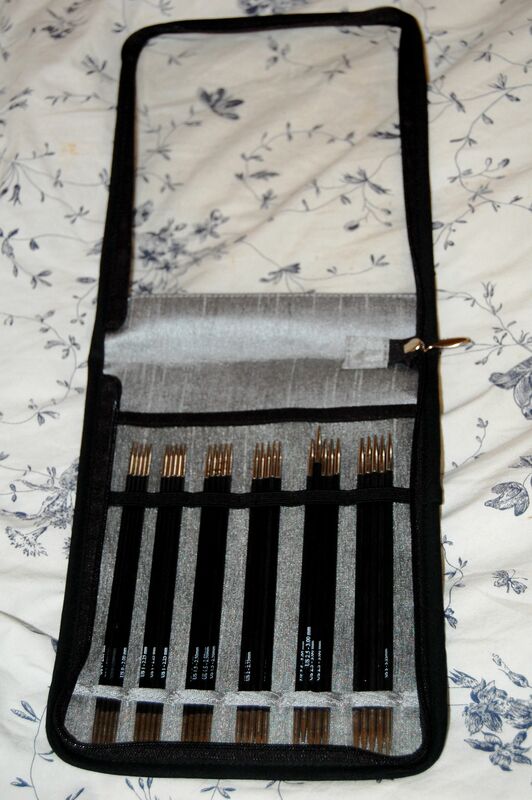 The first was a set of Knitter’s Pride Karbonz double-pointed needles. My honey got them for me as I have been knitting a lot of socks lately and, as a result, have broken more than a few of the wooden needles. I already have a couple of sets of these and really, really like them. 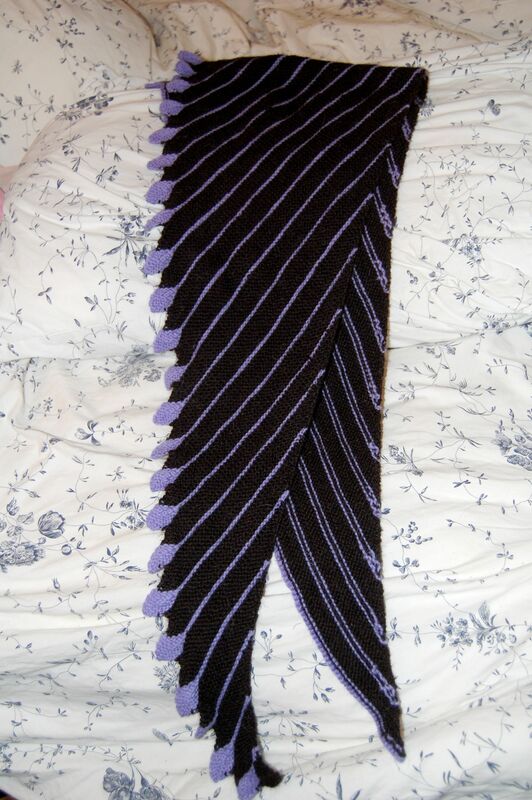 I am a big fan of carbon fiber in knitting needles!! The second gift is a lovely shawlete from my wonderful friend Tini. I wouldn’t have opened it early except that the post office had already taken care of it for me! I am a lucky, lucky woman!